Here are The Top 10 richest countries in the world this 2018, you must know first what is Gross Domestic Product of GDP per capita at nominal values. GDP is defined as the value all the final goods and services produced within a nation in a given year which then converted at market exchange rates to current US dollars, divided by the average of mid-year population for the same year. Iceland is a Nordic Island nation, which is popular in its dramatic landscape with volcanoes, geysers, hot springs and lava fields. As of the year 2013, the total population of Iceland is 323,002, with an unemployment rate of 4.3$ in 2015 and life expectancy of 82.92 years in 2012. 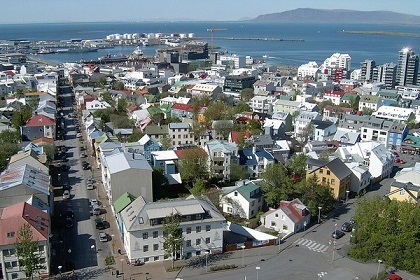 The economy of Iceland is small and subject to high volatility. In 2011, the GDP was US$12.3bn. However, the financial crisis in 2007-2010 produced a decline in GDP and employment, although the magnitude of this decline remains to be different. Iceland, on the other hand, has a mixed economy with high levels of free trade and government intervention. However, the government consumption is less than other Nordic countries. Geothermal power is the primary source of home and mechanical energy in Iceland. Australia is a country and continent surrounded by the Indian and Pacific oceans. Its major cities are Sydney, Brisbane, Melbourne, Perth, Adelaide are found in coastal areas. 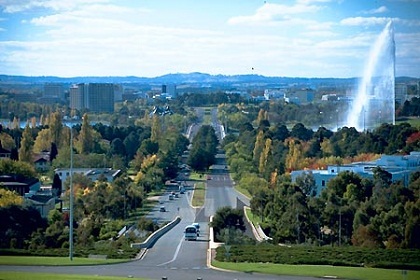 Its capital is Canberra inland. This country is known for its Sydney Opera House, the Great Barrier Reef, a vast interior desert wilderness called the Outback, and unique animal species like kangaroos and duck-billed platypuses. Australia’s population as of 2013 was 23.13 million with a 1.56 trillion USD GDP and 82.10 years of life expectancy. The economy of Australia is one of the largest mixed market economies in the world. In 2012, it was the 12th largest national economy by nominal GDP and the 17th largest measured by PPP-adjusted GDP of about 1.7% of the world economy. Its economy is dominated by its service sector, comprising 68% of GDP. Australia is a member of the APEC, G20, OECD and WTO and also entered into free trade agreements with ASEAN. The Republic of Ireland greatly occupies most the island of Ireland, off the coast of England and Wales. Dublin is its capital and the birthplace of writers like Oscar Wilde, and home of Guinness beer. Dubbed the “Emerald Isle: for its lush landscape, the country is dotted with castles like medieval Cahir Castle. Ireland’s total population is 4.595 million as recorded in 2013, having the GDP of 232.1 billion USD and with the Gross National Income of 180.4 billion PPP USD. The economy of Ireland is a modern knowledge economy, which focused on services and high-tech industries and dependent on trade, industry, and investment. Regarding GDP per capita, Ireland is ranked as one of the wealthiest countries in the OECD and the EU27 at the 5th in the OECD-28 rankings as of 2008. 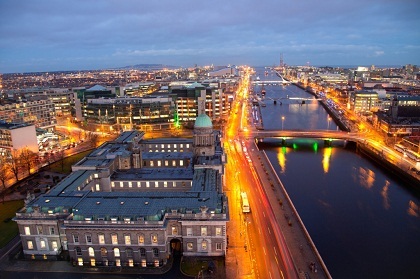 As 2005, a study by The Economist found Ireland to have the best quality of life in the world. 1995 to 2007 is the period of very high economic growth, with a record of posting the highest growth rates in Europe, led many to call the country Celtic Tiger. Denmark is a Scandinavian country comprising the Jutland Peninsula and numerous islands. It’s linked to nearby Sweden via the Oresund bridge. 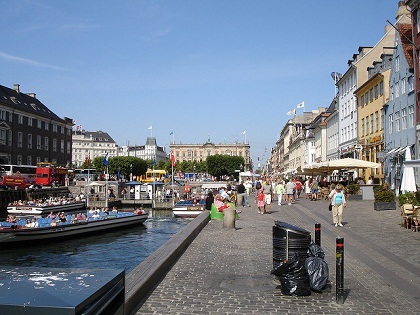 Copenhagen is its capital and the home to high places and picturesque Nyhavn harbor, plus the Tivoli amusement park and the iconic “Little Mermaid” statue. Denmark’s total population is 5.614 million as of 2013, with an unemployment rate of 6.3% in April 2015 and GDP of 335.9 billion USD in 2013. Regarding the economy, Denmark has a diverse, mixed economy. It relies heavily on human resources, but not exclusively as there are a few significant and valuable natural resources available in the country including mature oil and gas wells in the North Sea. Likewise, cooperatives form a large part of some sectors, be it in housing agriculture or retail. This thoroughly modern market economy of Denmark features high –tech farming, up to date small-scale and corporate industry, extensive government welfare measures, comfortable living standards, and high dependence on foreign trade. Singapore is an island city-state off southern Malaysia, it is a global financial center with a tropical climate and multicultural population. Its colonial core centers on the Padang, a cricket field since the 1839s and now flanked by grand buildings such as City Hall, with its 18 Corinthian columns. In Singapore’s circula-1820 Chinatown stands the red-and-gold Buddha Tooth Relic Temple, said to house one of Buddha’s teeth. Singapore’s total population is 5.399 million in 2013, with GDP of 297.9 billion USD in 2013 and the life expectancy of 82.14 years in 2012 data. 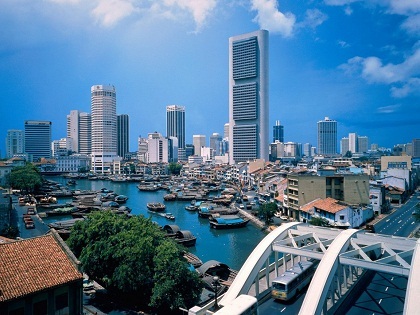 Singapore has a highly-developed trade-oriented market economy. Singapore’s economy has been ranked as the most open in the world, with a 7th least corrupt record, most pro-business, with low tax rates and has the third highest per-capita GDP in the world regarding PPP. Its economy is a major Foreign Direct Investment outflow financier in the world. The Unites States of America is a country of 50 states covering a vast swath of North America with Alaska in the northwest and Hawaii extending the nation’s presence into the Pacific Ocean. 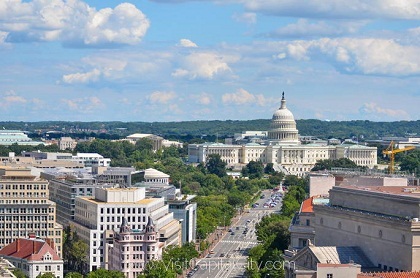 New York is the major Atlantic Coast City, which is a global finance and culture center and capital Washington, DC. Midwestern metropolis Chicago is known for influential architecture and on the west coast Los Angeles, Hollywood is famed for filmmaking. US total population is 316.5 million on data in 2013, while its GDP is 16.77 trillion and Gross National Income of 16.99 trillion. The US is the world’s largest national economy in nominal terms and second largest according to purchasing power parity. 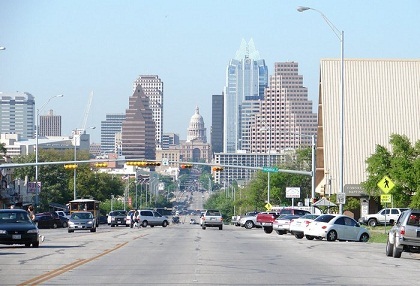 The US has abundant natural resources, a well-developed infrastructure, and high productivity. It is also the world’s largest producer of oil and natural gas. And also one of the largest trading nations in the world. Likewise, it is one of the world’s largest and most influential financial markets. Norway almost got to the top 3 this year. It is a Scandinavian country encompassing mountains, glaciers, and deep coastal fjords. Oslo, the capital city, is a city of green spaces and museums. It preserved 9th century Viking ships and are displayed at Oslo’s Viking Ship Museum. Bergen, with colorful wooden houses, is the starting point for cruises to the dramatic Sognefjord. It is also known for fishing, hiking, and skiing. Norway’s total population is 5.084 million in 2013, with GDP of 512.6 billion USD in 2013 and a low unemployment rate of 4.1% in 2015. The economy of Norway is a developed mixed economy with state-ownership in strategic areas. Although sensitive to global business cycles, the economy of Norway has shown robust growth since the start of the industrial era. Qatar is a peninsula Arab country whose terrain comprises arid desert and a long Persian (Arab) Gulf shoreline of beaches and dunes. 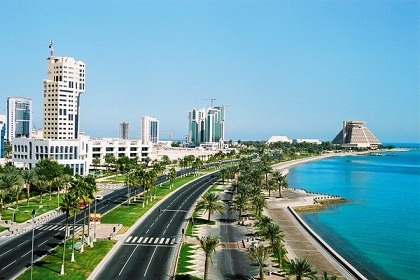 Also on the coast is the capital, Doha, known for its futuristic skyscrapers and other ultramodern architecture inspired by ancient Islamic design, such as the limestone Museum of Islamic Art. This museum sits on the city’s Corniche waterfront promenade. Qatar’s total population is 2.169 million in 2013, with GDP of 203.2 billion USD in the same year and life expectancy of 78.45 years on 2012 data. Petroleum and liquefied natural gas are the cornerstones of Qatar’s economy and account for more than 70% of total government revenue. Qatar is now the richest country in the world. Switzerland is a mountainous Central European country, home to numerous lakes, villages and the high peaks of the Alps. Its cities contain old quarters, with landmarks like Capital Bern’s Zytglogge clock tower and Lucerne’s wooden chapel bridge. The country is also known for its ski resorts and hiking trails. Banking and finance are key industries, and Swiss watches and chocolate are world renowned. Switzerland’s total population is 8.081 million in 2013, with the GDP of 685.4 billion USD in the same year and the life expectancy of 82.70 as recorded in 2012. The economy of Switzerland is one of the world’s stable economies. Its policy of long-term monetary security and political stability has made Switzerland a haven for investors, creating an economy that is increasingly dependent on a steady tide of foreign investment. Because of the country’s small size and high labor specialization, industry and trade are the keys to Switzerland’s economic livelihood. 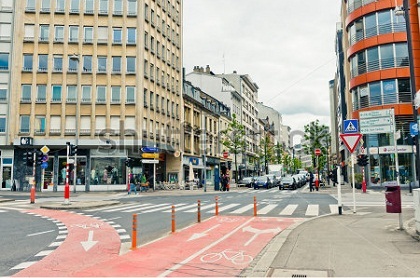 Luxembourg is a small European country, surrounded by Belgium, France and Germany. It’s mostly rural, with dense Ardennes forest and nature parks in the north, rocky gorges of the Mullerthal region in the east and the Moselle River valley in the southeast. Its capital, Luxembourg City , is famed for its fortified medieval old town perched on sheer cliffs. Luxembourg’s total population is 543,202 in 2013, with GDP of 60.13 billion USD in the same year and unemployment rate of 5.7% in 2015. The economy of Luxembourg is largely dependent on the banking, steel, and industrial sectors. After so many years, Luxembourg is now the top and richest country in the world per capita gross domestic product in the world. Luxembourg in tourist literature is aptly called the “Green Heart of Europe”, its pastoral land coexists with a highly industrialized and export-intensive area.